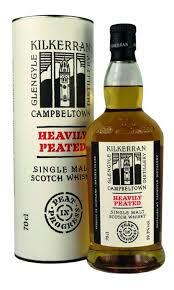 At 84ppm this really is as peaty as it gets! Kilkerran Heavily Peated has been matured in of ex-bourbon (55%) and ex-sherry casks (45%), adding a fruity, sweet character alongside the savoury peat centre. Aromas of fresh apple, confected sweets and caramelised brown sugar from the ex-bourbon/ex-sherry cask blend.